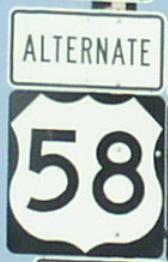 U.S. Federal Route 58 is a eas-west highway across Southern Virginia. This is one of Virginia's longest U.S. Federal highways. Info on U.S. Rt. 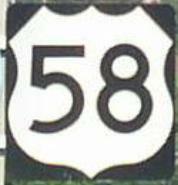 58 is broken down by county below. Branches of U.S. Rt. 58 in Viginia.